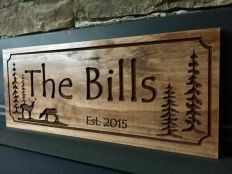 Custom Wood Signs | Personalized Family Name Signs, Bar Signs, and more. 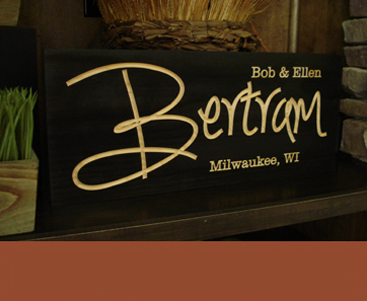 At Benchmark Signs and Gifts, we pride ourselves on creating the highest-quality custom wood signs in the market. 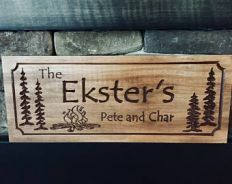 Whether you need a sign for your brand new bar or you’re looking for a present for the newlywed couple down the street, a custom wood sign from Benchmark will fit the occasion. 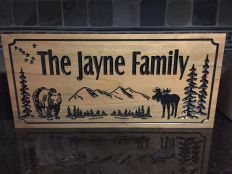 Our versatile designs will allow you to pick the sign that fits the personality of the occasion perfectly and help you give a meaningful gift that’s personalized and special. 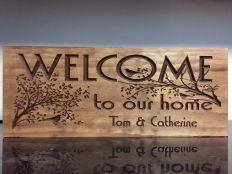 Or, if you’re buying a sign for yourself, you can rest assured that your sign will be exactly what you want. 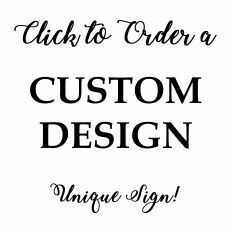 With all the customization options we have, you’ll be sure to find what you’re looking for. We didn’t start our business with huge donations or capital. We started small and worked our way up. 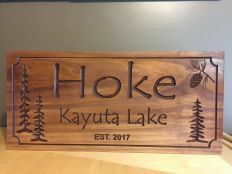 We got here because customers love our products. 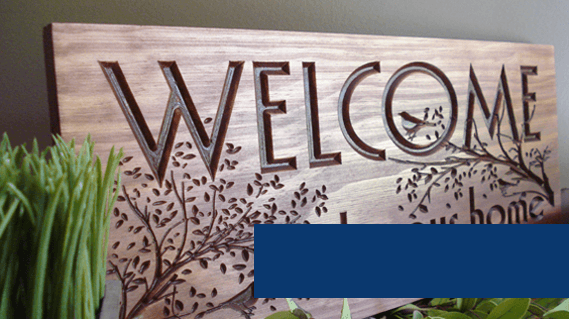 We strive for our products to be the best and highest quality ones on the market, and we wouldn’t have gotten where we are today if our customers didn’t think that was true about Benchmark. 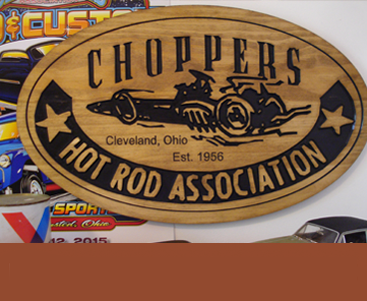 Our past customers love our work, and we know you will too. 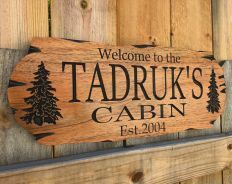 We have custom wood signs in a variety of categories: family signs, cabin signs, bar signs, and business logo signs. 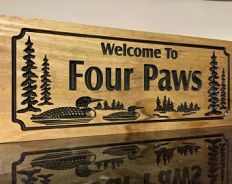 No matter what reason you have for buying your custom wood sign, we’ll have the perfect design for you. 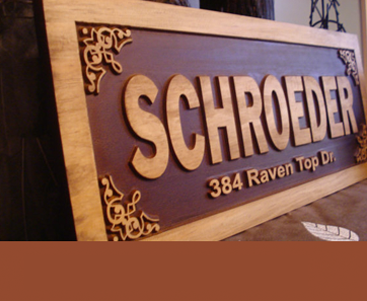 The signs we feature can be altered and customized to fit exactly what you need for your custom wooden sign. And, because we are a small company, we listen to your requests and special notes. 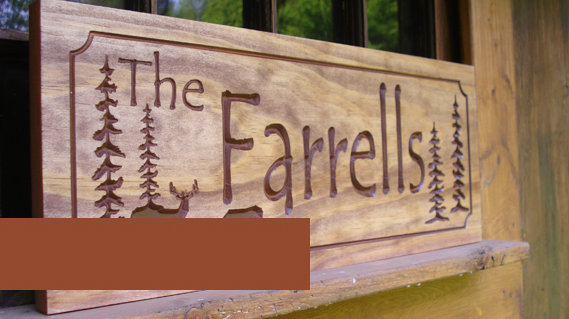 We care as much about our customers as we do about their signs, and we think you’ll see this in our work. 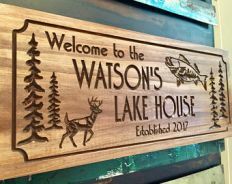 Trust Benchmark Signs and Gifts to make your next personalized gift. 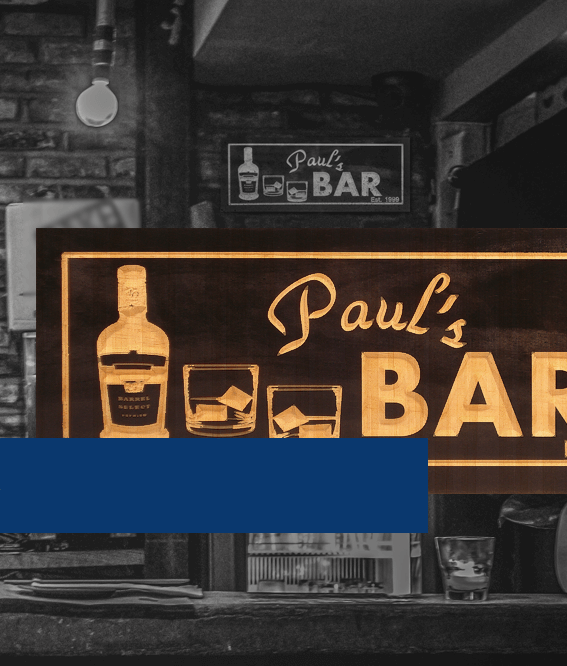 We’ll do the job, and do it right.